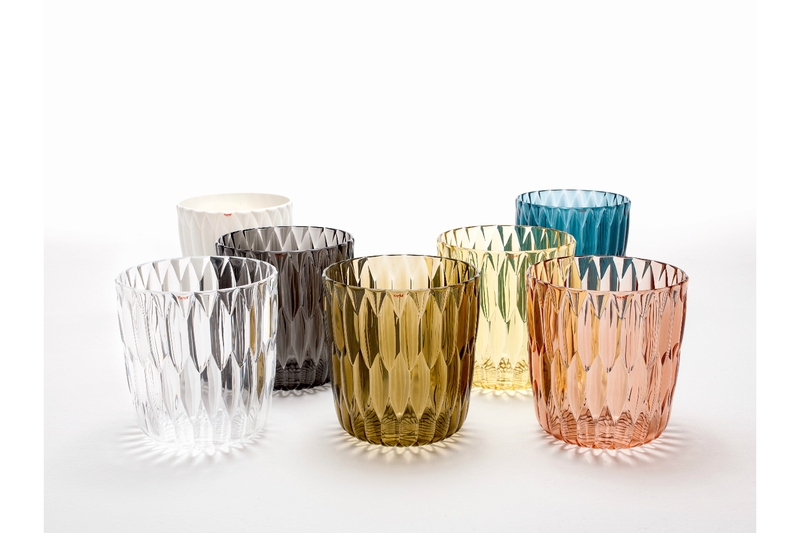 Jelly is a series of design items designed by Patricia Urquiola, consisting of three pieces: a vase, a bowl and a plate. Ideal for any room in the home and adaptable to various uses, the special feature of this series lies in the conformation of the surface material. Enhancing the core that looks like jelly, just as the name suggests, and evocative of the forms used in pastry-making, the design is only possible with the solidity of the plastic of which it is made.